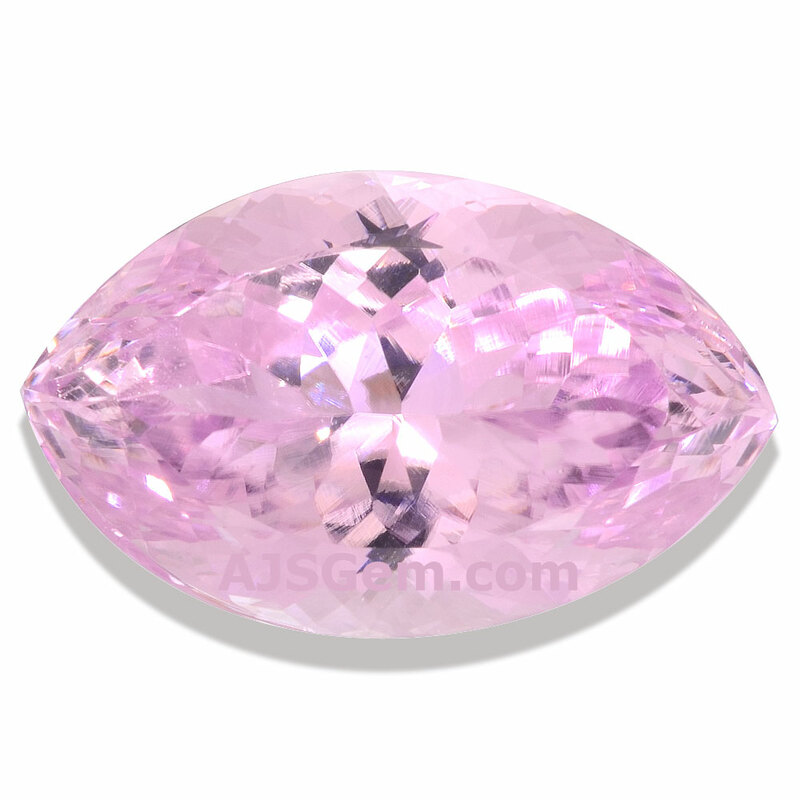 If you are looking for a fine pink gemstone in a very large size, kunzite may be just what you're looking for. 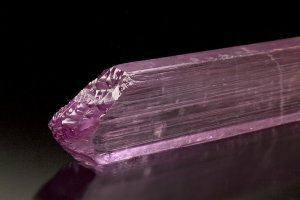 While pink tourmaline can sometimes be found in large sizes, kunzite is common over 10 carats and specimens over 20 carats can often be found from specialized dealers. Kunzite is the delicate pink or lilac color of the mineral spodumene, a lithium aluminum inosilicate. Spodumene is an important source of lithium for industrial use, and transparent material has long been popular for gemstones. As a gemstone, it has reasonably good hardness (6.5 to 7 on the Mohs scale) and an attractive vitreous luster. High quality kunzite has good to excellent clarity, and most specimens will be eye clean to loupe clean. 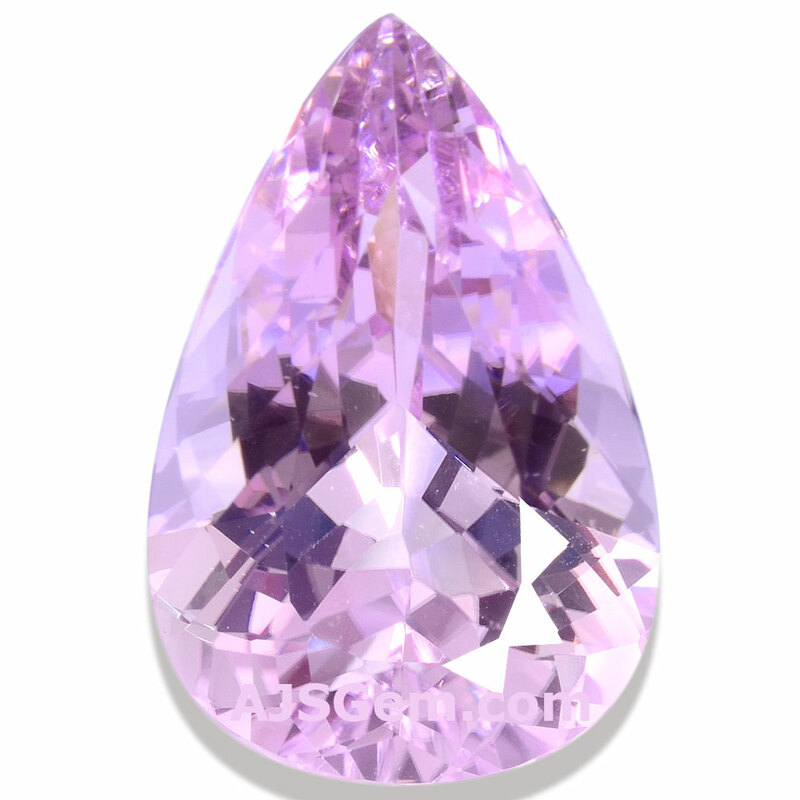 The distinctive color of kunzite derives from traces of manganese. The color is typically pale to pastel, though occasionally more saturated pinks are found. Some kunzite in the market has had its color improved by heating or irradiation. Untreated stones with good color saturation are the most valuable. Kunzite is strongly pleochroic. The top and bottom of the crystal reveal the deepest colors and gems are cut so the deepest pink is visible through table. Kunzite was first discovered in the USA at the Pala mine in San Diego county in 1902 and identified by George Frederick Kunz, chief gemologist at Tiffany & Co. It was named in his honor. Kunzite is not a well known gem in the commercial jewelry world. But its profile was raised considerably by the auction in 1996 of a kunzite ring from the estate of Jacqueline Kennedy Onassis. John F. Kennedy had purchased the ring for his wife as a Christmas gift in 1963. The 47 carat kunzite ring sold for more than $400,000 at a Sotheby's auction. Most of the kunzite in the market now comes from Pakistan and Afghanistan. Kunzite is also found in Brazil, Australia, Canada and Mexico.